Fill the Dates with Cream cheese and 2 Pine nuts. 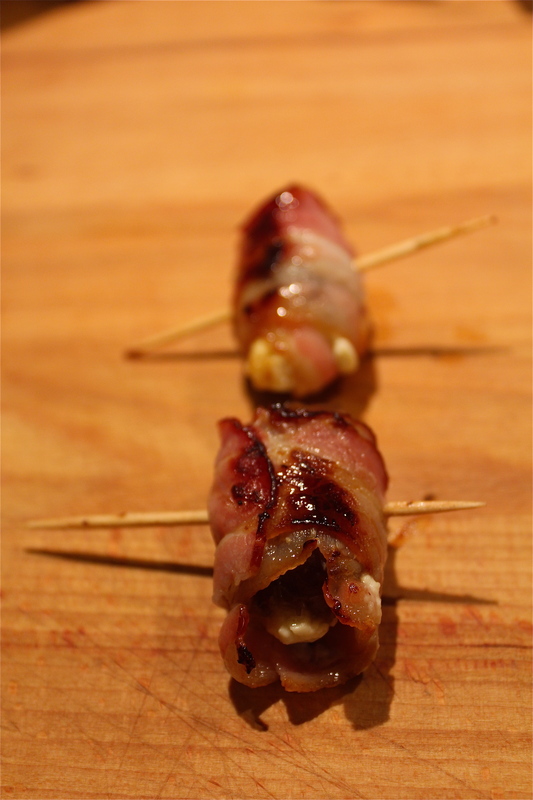 Wrap a bacon strip arround it and skewer it on a toothpick. Tip: The Dates are wonderful in combination with the Beet Crepe (Find the recipe by “Appetizers” ….where salty hits sweet. Try it!